Great outfit. love the exuberance untucked and the finished restraint when tucked. interesting interpretation of the work. I like your interpretation. The relaxed and expansive silhouette of the untucked version seems to echo the broad landscape best, imho. The sunglasses make me picture you cruising through the desert in a convertible with the top down. Cool. What I like most about these art challenges is that everyone sees the picture differently, noticing different details. Thank you for the spacial take on Cass. You nailed it. Interesting take on this; I liked reading your analysis. 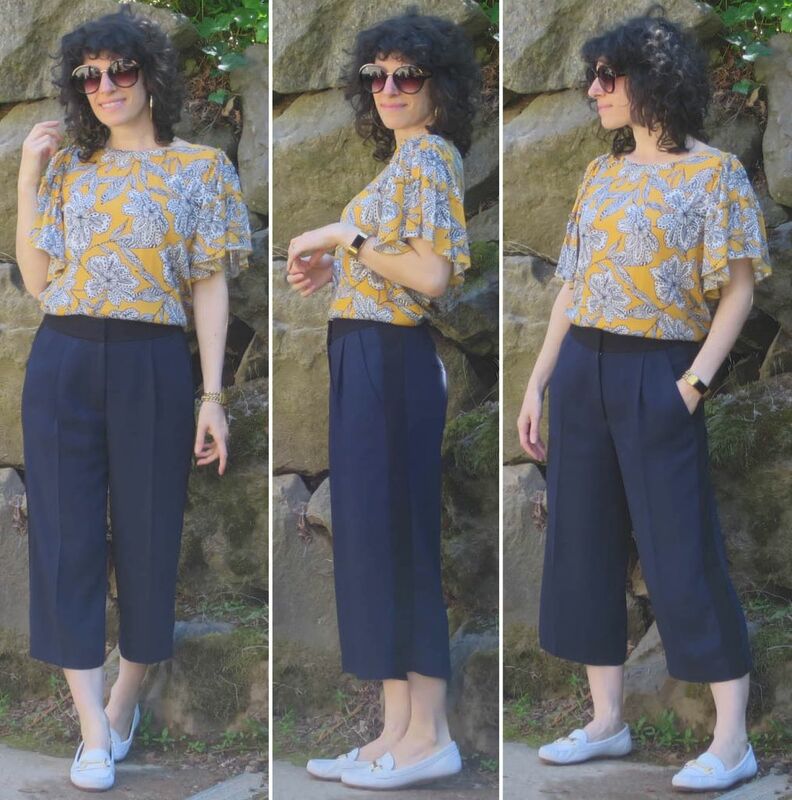 I love the way your hair and the culottes are a color complement and the color of the shoes is echoed in the print of the top. Very rich and thoughtful interpretation! Even though you weren't aiming to respond to the colours, your outfit does in fact echo them as well as evoking the sense of broad space. It works both ways to my eye -- untucked for hot hot weather and tucked for more conventional flattery on a more temperate day. Thanks for joining in the fun. 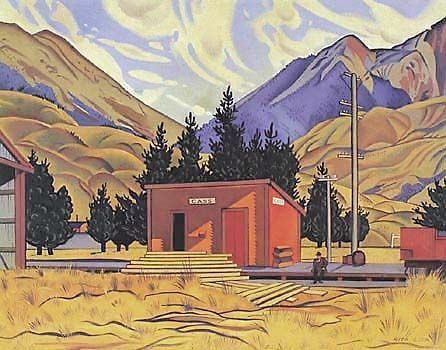 There is spaciousness in the South Island landscapes with very little people and lots of land. This oufit does evoke that. I like both versions. I love the top - a great print! Great interpretation, made me look at the painting again and see new things - thank you! The outfit is brilliant, as your outfits always are. I like both the untucked and tucked versions, echo Suz on that. You look stunning in this outfit! I like the interpretation. Both versions are great and you look amazing. Yes. I like the untucked version best, it looks so breezy and indeed invokes the vast space of the painting. Great interpretation! I enjoyed reading your analysis as much as I enjoyed seeing your outfit! I too prefer the untucked version - a bit more arty and true to the inspiration. Both versions are fab. Interesting interpretation! Love the top - the colors are fantastic. I’m with you on cropped vs. tucked - have quite gotten it to work for me, bit this idea is planted! Well done! I am utterly blown away. Your approach was so interesting and so novel. I would love to visit an art museum with you some day. Wrt the outfits. Gorgeous. As more a traditionalist than you, I naturally preferred the tucked version. You gave me so much food for thought. I was certain there was a world of imagination and creativity out there that could be used to help me develop ensembles. You exposed a bit of it to me today. Gorgeous! I love your thought process as to how/why you picked the elements of this outfit. I like the untucked version best, and also prefer short tops to tucking. Your interpretation is very Interesting. I would have just gone for colors, but you’ve made me think about this more. And there was no requirement that shoes in the outfit be wearable in the depicted landscape! I prefer the tucked version, but untucked is fine, too. Great outfit good match to the art, thanx for posting it! Great interpretation! And a smashing outfit, both tucked and not. Becky, I never really thought of my navy as being a complement to my hair but YES it so obviously is! Perhaps that is why I often prefer it over brown; the contrast of navy makes for a more visually interesting pairing. ChrisM, the tucked/cropped thing can be a little tricky because you need to devote specific tops for the purpose of cropped. 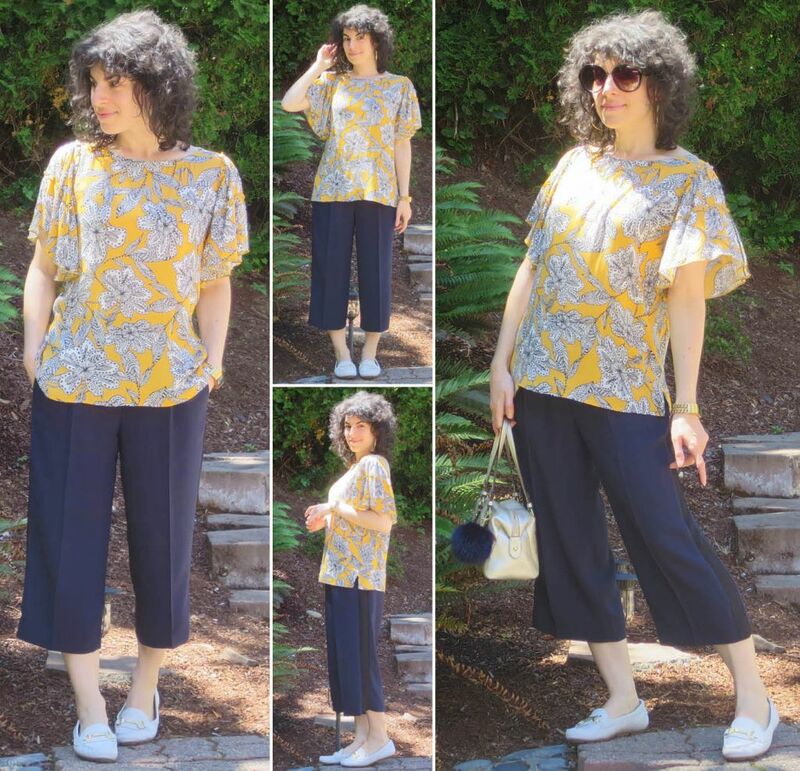 I resisted for a while but ultimately decided it was worth it and do not regret having a few cropped tops to wear specifically with higher-waisted bottoms; a couple can also doubly be worn over tunics!